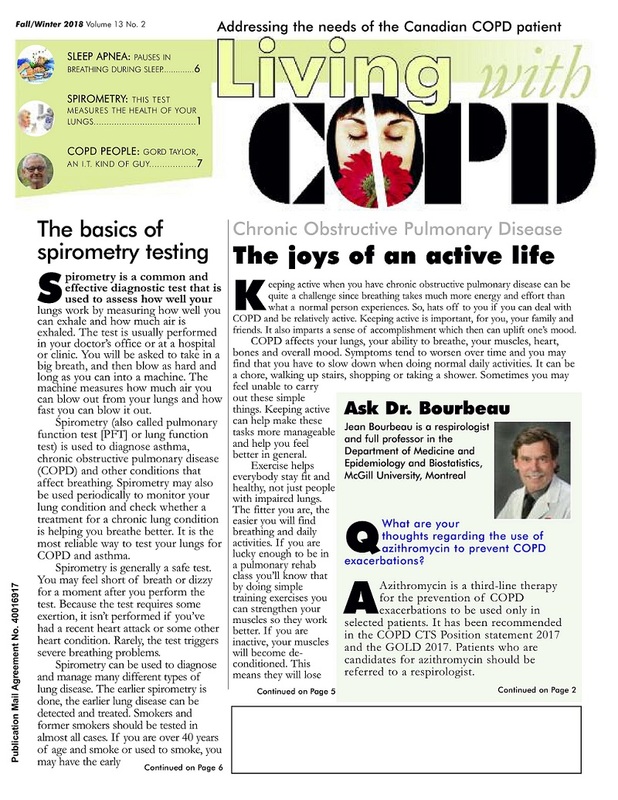 Canadian pulmonary rehab clinics can order multiple copies of the printed newsletter free-of-charge for distribution to attending COPD patients. To order bulk shipments - up to 20 copies per edition - Email: exec.copdcanada@gmail.com Please put "rehab bulk" in the subject line of the e-mail. To facilitate these shipments we need the *name of the rehab clinic, *the name of the receiver (ie: RT or rehab supervisor), *the address of the facility as well as the *clinic's phone number (for courier purposes only). Thank you. *Please note that this information will remain private to COPD Canada and will never be released to others. We do not lend or rent our mailing list - ever.